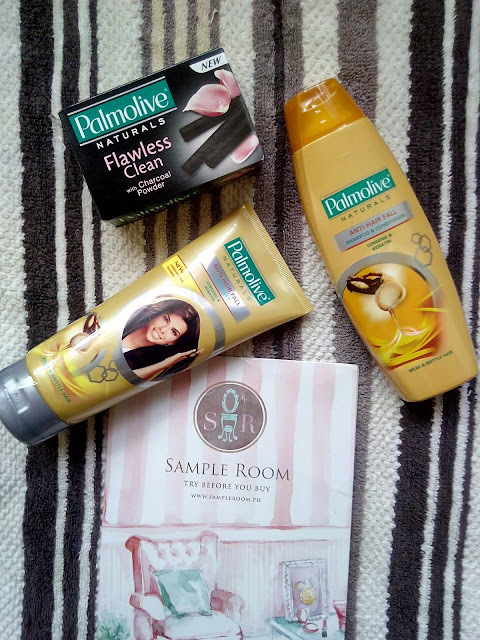 My blog talks about my honest review to the products and services that I tried whether is a good or bad review. Its my review shows dissatisfaction, I'll try to sounds to be constructive. I believe that we must share our opinion to give them rooms for improvement. 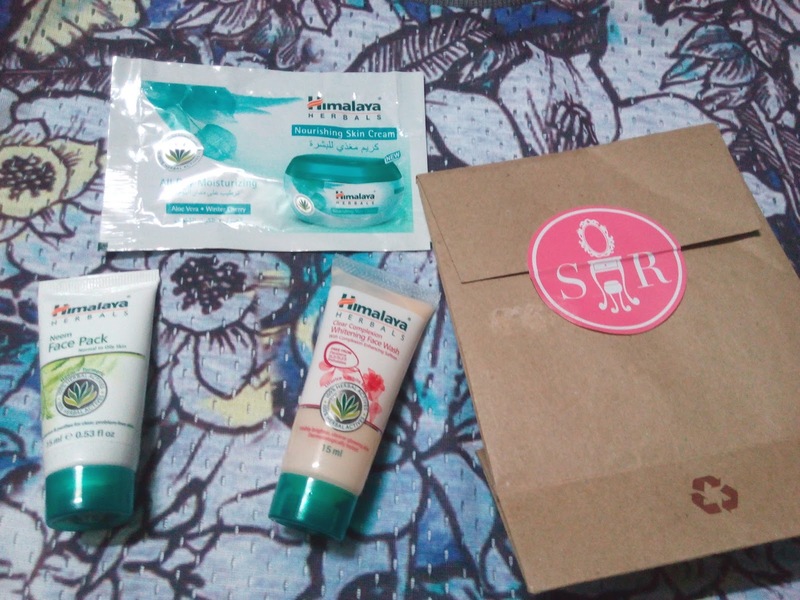 The discovery of this famous skin care brand from Korea started when I purchased my first Althea Korea box in September and one of the items in that box is the Innisfree No Sebum Powder Cream. This cream claims as a 3-in-1 product because it act as a moisturizer, primer and gives you a matte-finish so no need for powder. Yeah, it gives you a mattifying finish but it only last for 3-4 hours. So for oily skin, I would still suggest to set it with powder. Overall, I have a mixed feeling for this cream. But I'll definitely gonna finish this tub esp. during no-make-up look. 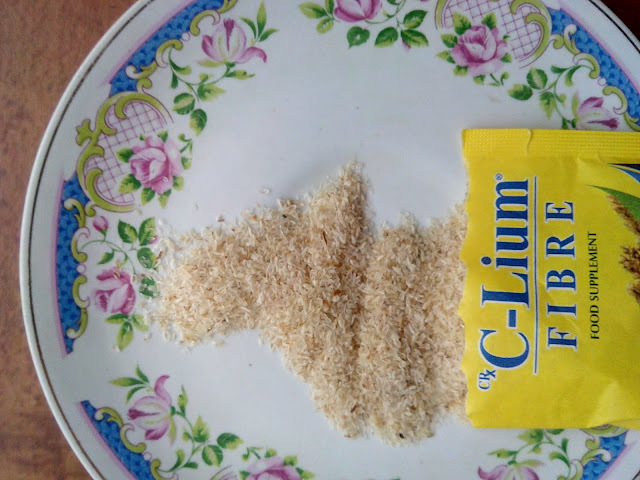 And I love the citrus scent even if claims that it has a mint as a ingredient. The Green Tea Cleansing Foam does its job on cleaning my face w/o that squicky feel which is harmful because it damages our skin barrier. But I dont use this after bed because I prefer to use a very mild cleanser. And lastly, the by-far the best Innisfree product that I've tried is the Super Volcanic Pore Clay Mask. I applied this after washing my face. After 10 minutes, I rinsed it with lukewarm water and it actually work as a facial scrub. After that, I can feel that face is so smooth and cream. I'm just not sure if my pores got minimize but I dont mine. I'll definitely gonna repurchase this. I will also want to try the other variant of this with with peppermint since I believe that may help reduce the apperance of my pores. If you're fully invaded by the Korean culture, Im pretty certain that you know the meaning of CHOK CHOK. To school the others, it means DEWY which what we admire the KPop Idols and KDrama superstars. And their secret is to pay full attention to their skin care. That's why I got flabergasted to order this new kids in the block skin care brand from Sampleroom named Seoul White Korea that promise a Chok-Chok look. 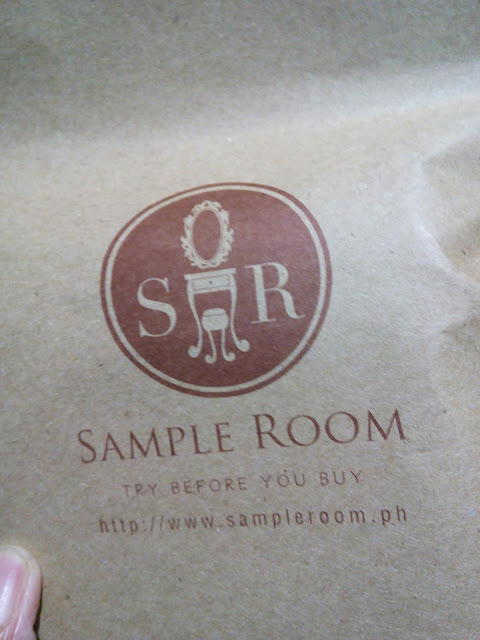 Btw, I got this for FREE so better check the Sampleroom.PH site. The Whitening Milky Tone Up Cream is now the new KBeauty trend that instantly gives you an instant white effect while it gives you a moisturizing and whitening benefits. Just want to remind you that setting your face wearing this with a powder may be a problem. I noticed that there are some parts of my face where it rubs off especially in my nose bridge between my eyes because I wear sunglass. So using this alone is sufficient since it reall gives you a semi-dewy look. If you're an oily skin type like me, I would suggest to use an oil-control skin care products like toner ( I would recomment the Gluta-C Acne Control Toner ) or face cream ( I recommend Quick FX No-Shine Mattifier but I would suggest to put it on top of the Tone Up Cream). Applying this with your hands may not be a good idea. I tried to use it and it gives me a patchy, uneven tone so I used a damp makeup sponge for even application. This is actually good as a primer because it really hides my skin imperfection especially my pores. And the Whitening Soap is by far the less-harsh soap that I tried even if it comes with a Kojic Acid. Thats because by the help of the Donkey Milk plus Arbutin Bearberry and White Strawberry. Actually, I fell in love with its sweet berry scent. Even if it comes with Kojic Acid, I find it so mild which is great for sensitive skin like me. I actually use it to my face but only before bedtime. If you really want a fast, visible whitening result, I would suggest to use with with your trusted whitening products. You can still get this awesome products from Seoul White Korea for free by going to Sampleroom.Ph. You can also buy this to your nearest Watson Store. Ig Im not mistaken, the single bar soap is around 30+ but you get more savings if you buy the 2 or 3 bar pack. For the tone up cream, you can get the trial sachet for only 20php. Its something new to try since its made of pork shoulder meat unlike the regular-offered burgers made of beef paties. McRib consists of a restructured boneless pork patty shaped like a rib, barbecue sauce, onions, and pickles served on a 5 1⁄2 inches (14 cm) roll. The pork patty is juicy on the first bite. I'm just not a big fan of the barbeque sauce because its sweet. The bun is just ok. Probably, I may enjoy this if its serve hot. But this sandwich is so heavy to my tummy so its worth the money. If Mcdo would bring McRib back, I'm hoping they would come up with a different flavor like replacing the barbeque sauce into something a bit salty or savory. And would you agree that the prok patty might be a great match to a cheese slice. While roaming to thr selection of food stores at the SM Food Court at SM Megamall, I noticed that lots of people are carrying tray with a sizzling plate that has a paper cover that has a named printed on it that says Mr. KimBob. Mr. Kimbob is a food store that offers a variety of famous korean dishes and one of them is Bibimbap. Bibimbap is an healthy korean dish where a rice is mixed to meat ang assorted veggies. Mr. Kimbop's version of bibimbap contains Rice, Ground Pork, Carrots, Monggo Sprouts with Kimchi on the sides and a sunny sideup egg on top. Hot sauce will be given to you if if you want your Bibimbap to be spicy. For only 99php, this is very worthy because it will satisfy to make your tummy full and its healthy. Mr. Kimbob is one of the interesting food store to find at the SM Food Court. I'm really not a big fan of sweet milk chocolates because it makes me thirsty and gives me toothache. But thank GOD that Dark Chocolates were invented. They said that Dark Chocolate are more healthier because its less sugar. Also, I noticed an apparent number of new dark chocolates realeased in the market from well-known brands. So I decided to explore different versions of this sweets from 4 brands that I tried. First, I tried the local brand, GOYA released their dark chocolate varient named GOYA DARK CHUNKIES. It comes in this type of bar that can easily break into bite-sized. And every block has these nuts which I love in a chocolate. Next, I tried Kitkat's version of dark chocolate. Comparing this to Goya, this is less sweeter so its almost bitter but in a good way because its suppose to be like that. Of course, since its Kitkat, its a dark chocolate-coated waffer. If you want just a pure dark chocolate without anything in it, them you must try this well-known chocolate brand from Japan, Mejie Black Chocolate. Almost the same level of bitterness compare to Kitkat Dark Chocolate but there's a unique taste not just this bar dark chocolate but almost all of the chocolates in Japan: just the right amount of sweetness. And lastly, going back to our locar chocolate brand, GOYA TAKE IT DARK CHOCOLATE. 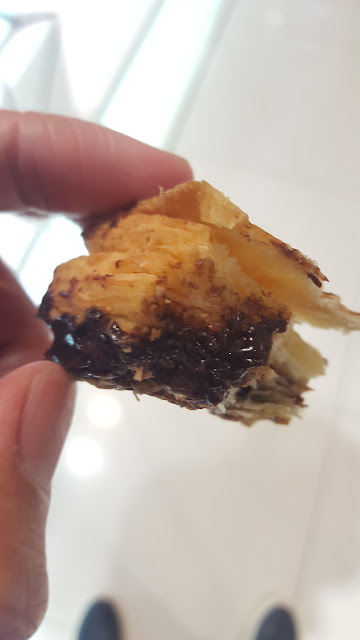 Its like an affordable version of KitKat Dark-Chocolate-coated waffer, but just like the Goya Chunkies Dark Chocolate, its sweeter that the imported brand. There you have it, I hope this article makes you to try new breed of chocolate. When I took a sniff from the nozzles, I personally dont like it because it reminds me of a scent from a ballpen. But when I used it after a week, I noticed that it effectively dries some little pimples. One thing that I don't like is it has some beads ( well obviously, its a facial scrub so its given, hihihi ) so its not suitable for sensitive skin like me because it may cause skin irritation that leads to another pimples. I'm hoping they would come up with just a facial wash or facial foam with no beads and also try to change the scent of it. 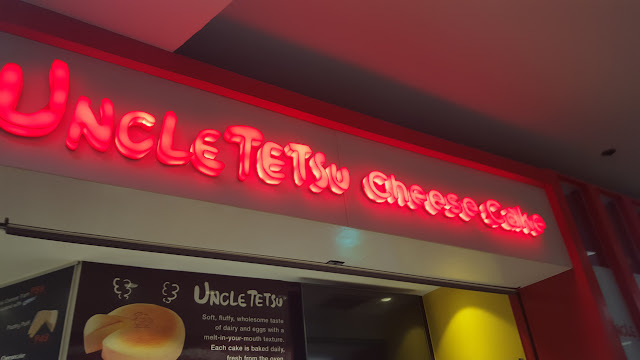 Every time I crossed the Building B of SM Megamall Building B coming from MRT Ortigas Station, I've been passing by this store in the entrance of SM Supermarket named Uncle Tetsu. 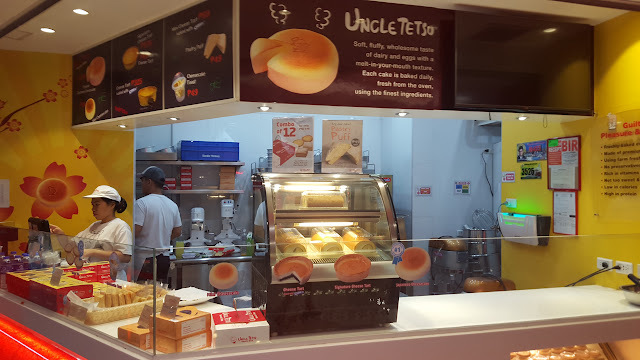 I know that one of their best selling item is the Cheesecake. The one with soft, fluffy buns with tasteful cheese on top. I actually just tried their free taste of it. 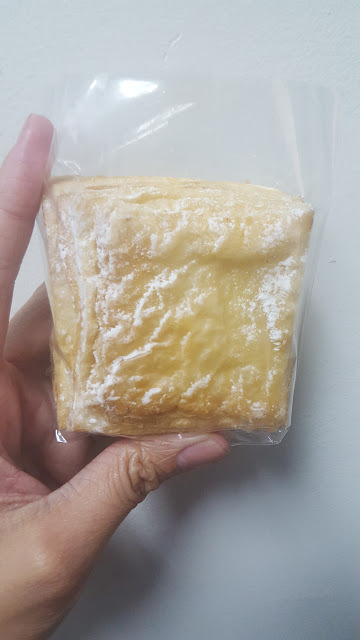 But one of the products that catches my attention is Pastry Puff. The reason for that is the price, for only 49php. The friendly staff offered me their free taste of this. Take note, the size of the free taste that they are giving is generous enough to enjoy it. It seems like they cut the whole Pastry Puff into 4 parts in square shape. Pastry Puff comes in 3 flavors : Mango , Chocolate and Custart. 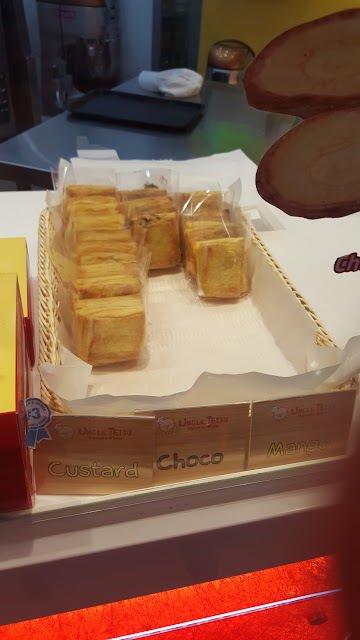 But the free taste that they only have is Mango and Chocolate so seems like Custart is one of the favorite flavors. The Chocolate one taste so good. Its perfect to match with a hot coffee or chocolate drink. But that time, I've decided to bought 2 pieces of Mango. I guess I love the sweet and refreshing taste of Mango. 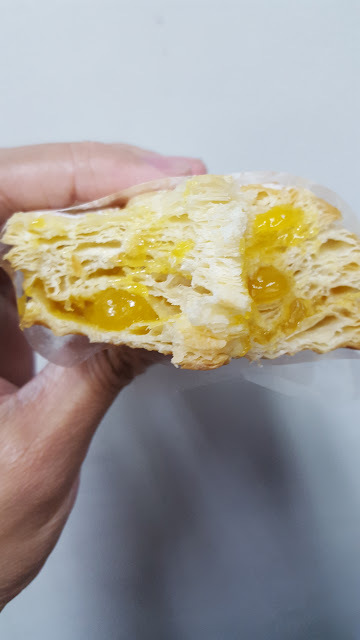 The Mango jam inside is so generous. Its flowing but not too much. 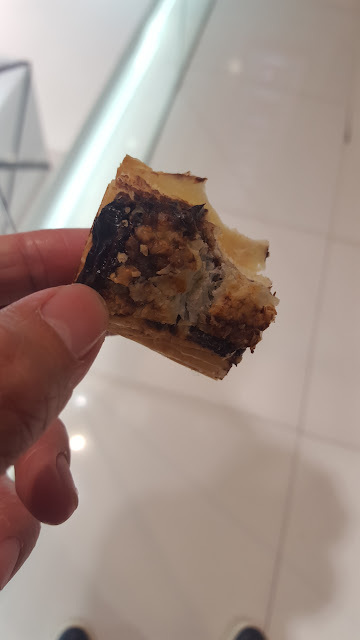 I'm fully satisfied on this great discovery that I found in SM Megamall. I'll definitely buy another one but one is Mango and another one is the Custard. While walking my way to home from my nightshift work, I passed by this McDonald's El Pueblo branch and I noticed a new poster offering a limited holiday edition: McGriddles. I got tempted and intrigued on the description of it where it says that the bun has a generous amount of maple syrup, baked to perfection. Okay, you won Mcdo so I decided to try it before its gone since its only available for limited time. So I decided to buy the McGriddles w/ Egg, Cheese and Sausage, opted for Pineapple juice instead of coffee. 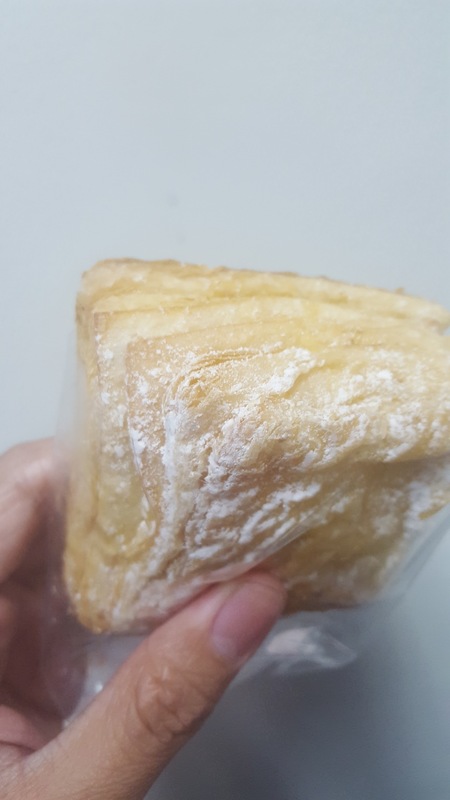 When I unwrapped the sandwich, I wowed because its a hefty sandwich that will definitely satisfy the ones with huge appetite. This is actually perfect for the ones who always skip breakfast because they gonna be late to their work. I must say that the sweetness coming from the buns is perfectly match to the saltiness given by the cheese and sausage. I forgot to take a picture of the maple syrup looks likena filling inside the bun because I'm so hungry that time. Hihihi. Again, this is a limited time offer just like Twister Frieda and McRib so better drop by to your nearest Mcdonald's branch. You only have few more days before Christmas but you haven't got any gift to your love ones plus you don't have time to wrap it. Worry no more because SM Store is offering free gift wrapping to their beloved customers. And for those who don't know that this service is being offered not just for the holiday season but also for whole year round. For every 300php minumun purchase to any items at SM Department Store entitles you to avail this awesome service. Just present the reciept. Then just go to the Gift Wrapping Station which is usually in the Customer Service Section of the store. You have 10 cute design wrappers to choose from that will match to you the person who will recieve your present. Tip: We suggest to do this to early as possible to avoid the long queue. From the recent Blogapalooza 2014 ( yeah, I know its too late, hahaha ), one of the participating booths is House of Lasagna. I visited their booths and they're giving free slice of their famous lasagna and it taste so good. And thank God, they gave us some information about their company plus a gift certificate worth 100php. 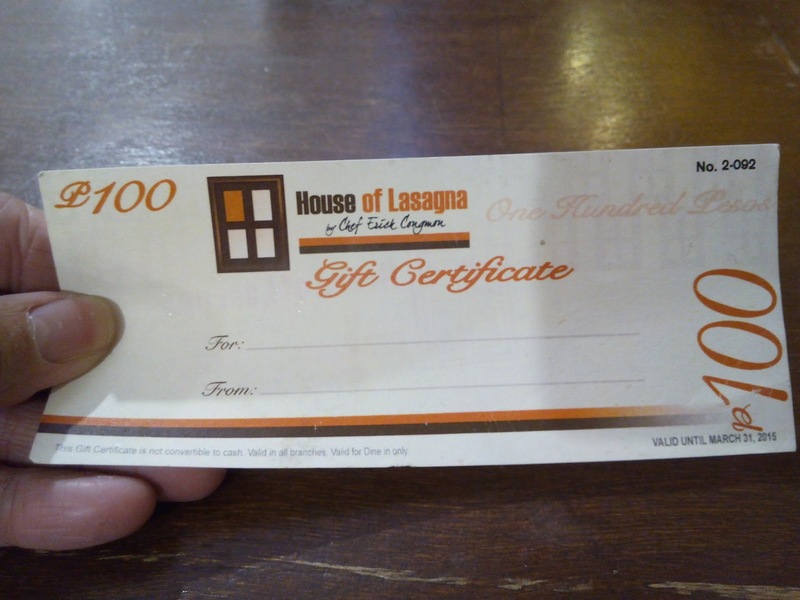 So before heading to my friend's birthday party for her daughter, I've decided to go to House of Lasagna in SM Megamall in lower ground building A to use the voucher. They've got lots of options in their menu but one thing that I usually order in a restaurant is carbonara. 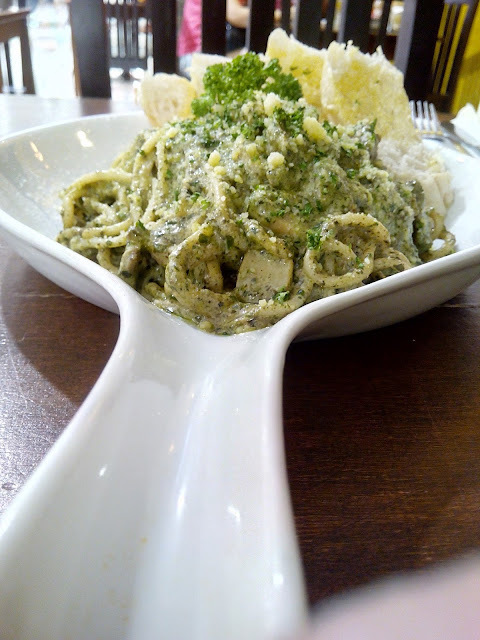 While browsing their menu, I spotted this interesting dish: Creamy Pesto Carbonara. I've tasted pasta in pesto oil so I've decided to try this since this one catch my attention. So I asked the waitress for my order and presented my voucher so from 230php, my total bill is 130php. After waiting for several minutes which is understandable since its a restaurant, not a fastfood, they've already served the awaited dish. 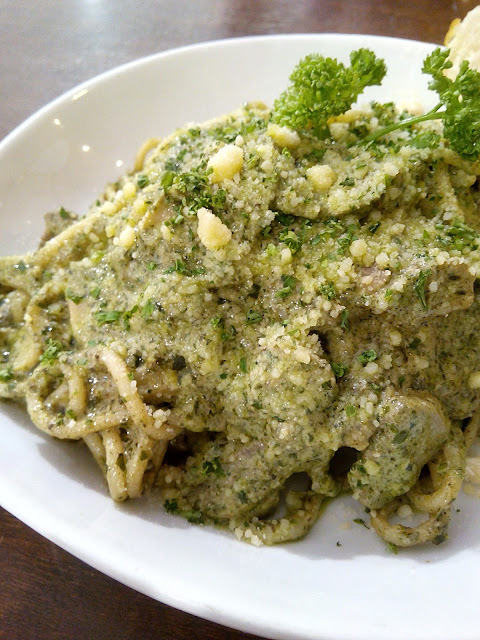 Honestly, I got surprised on the first glance of it because I'm expecting the normal carbonara look with some pesto on it but the first thing that pops up to mind is: PESTO OVERLOAD. 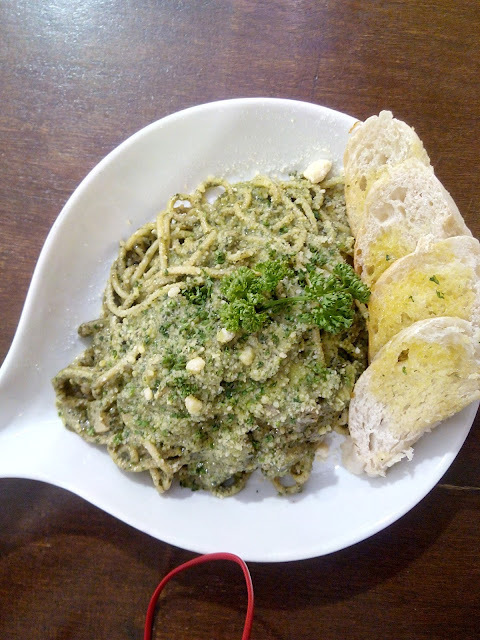 On the first bite of it, my first impression is right, the pesto is too overpowering and it seems like there's no salt or they only put less salt in it so it taste like almost tasteless. Thank God, they're not that selfish on giving me some parmesan cheese. 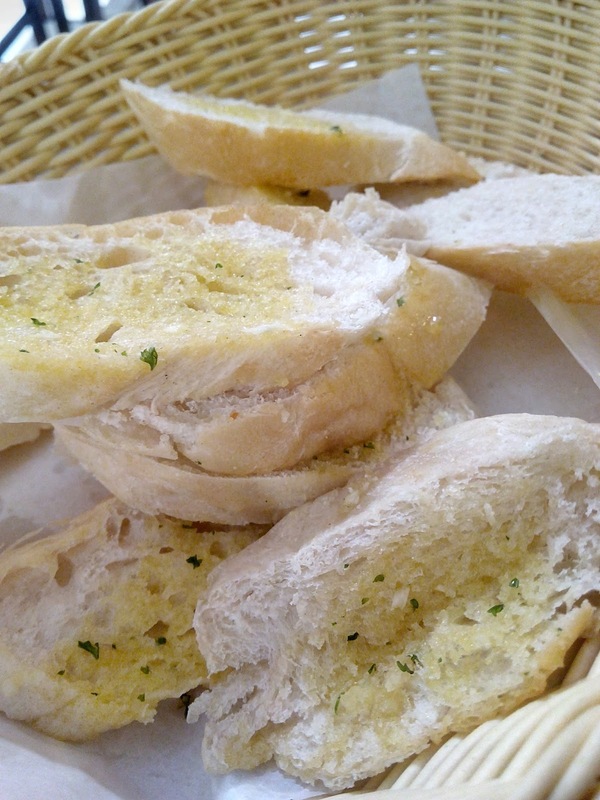 The waitress are so generous because she offered us a fresh garlic bread. Somehow, its a perfect match for this pasta dish. Actually, the garlic bread is perfectly satisfying alone. I honestly sad that I wasn't about to finish it. I felt that it's a waste of money. Tsktsk. I heard from my friend that the only good thing from them is their lasagna and that's it. 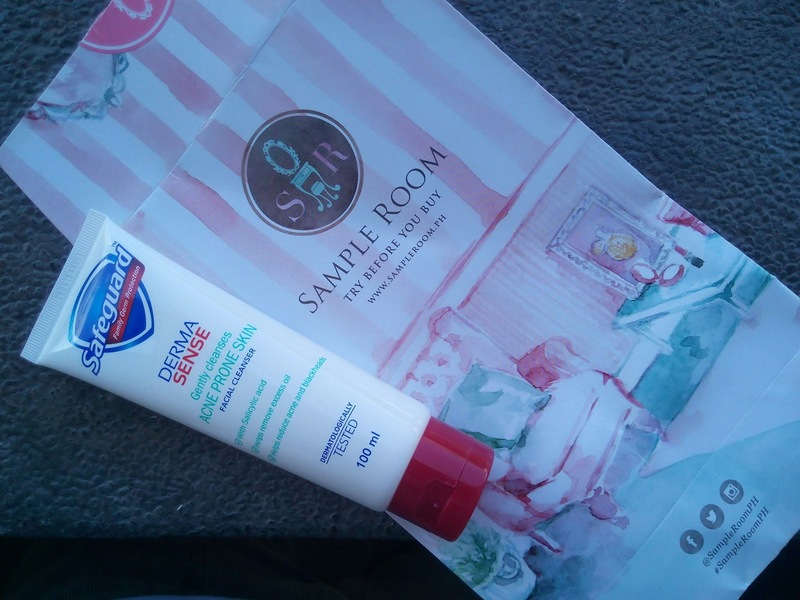 While browsing some skin care blogs before, I spotted a certain blog featuring a bb cream that she got from a site named Sampleroom. 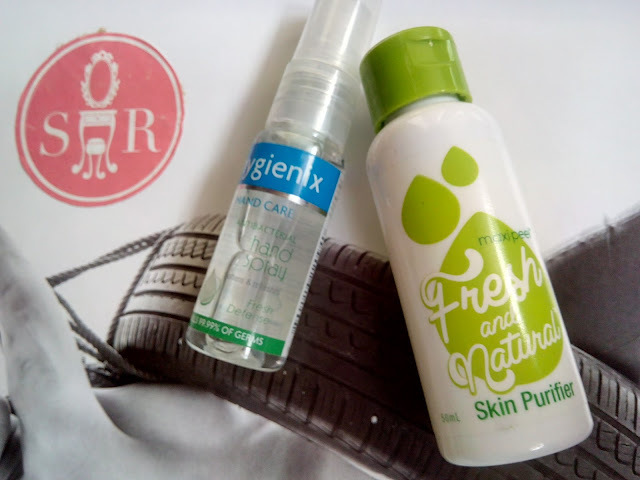 I'm surprised that the blogger ( sorry her name, hehehe ) got the featured product for free. 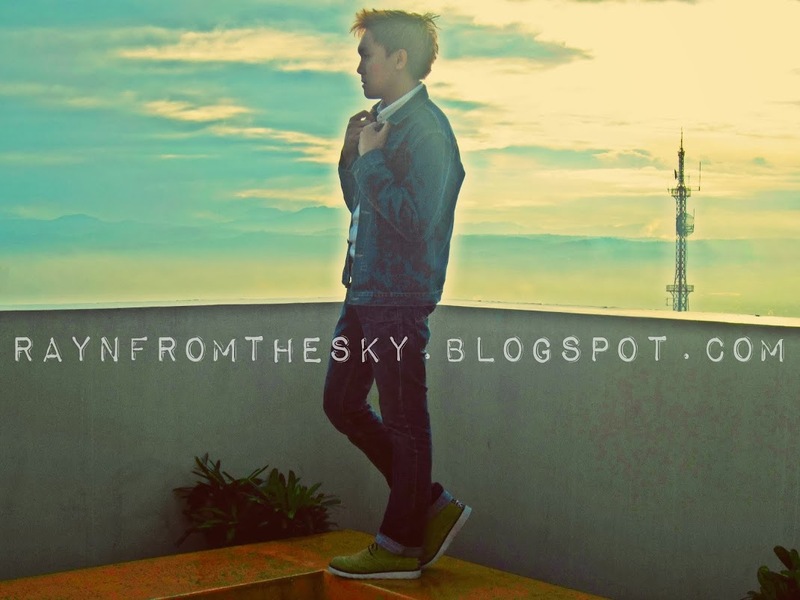 At first, I was not interested that time because I was more focused on blogging about my latest OOTDs, hahaha. 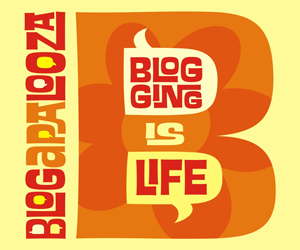 But two months ago, I attended the recent Blogapalooza 2014 and Sampleroom is one of the participating booths. 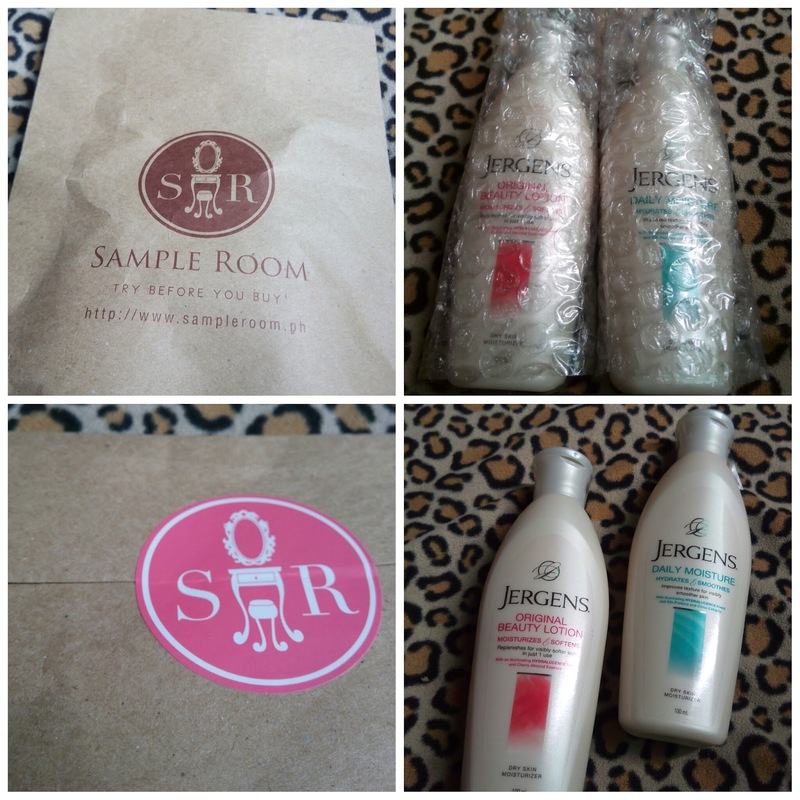 I just registered to site ( www.sampleroom.ph ) and viola, I got 100 points to use to get available samples from their site plus 2 bottles of Fortifying Shampoo and Conditioner from Zenutrients ( I'll feature it soon ). This is the biggest savings that I got from Sampleroom. 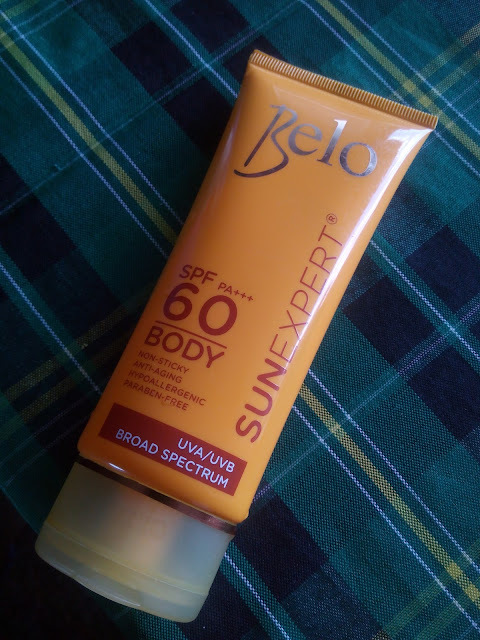 Its 450php in the market but I got this during summer and I just paid 100php. Few days after I registered, I got an email alert about their new samples and those are Jergen's with their new packaging and improved formula. I got excited because its one of my favorite brands for lotion. 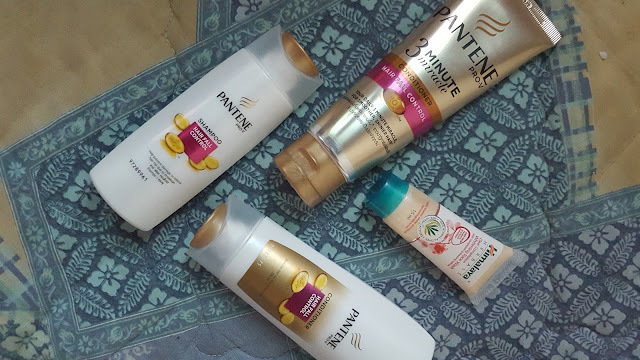 In order for me to get the free samples, you need to have enough points and since I got 100 point upon registration and it only requires me to use 35 points for each bottle, I ordered two of them. I only paid for 100 pesos for the shipping and handling fee. Even if I still have to pay for the free samples, if you look at it in a budget-conscious perspective, you're getting the products in a discounted price. 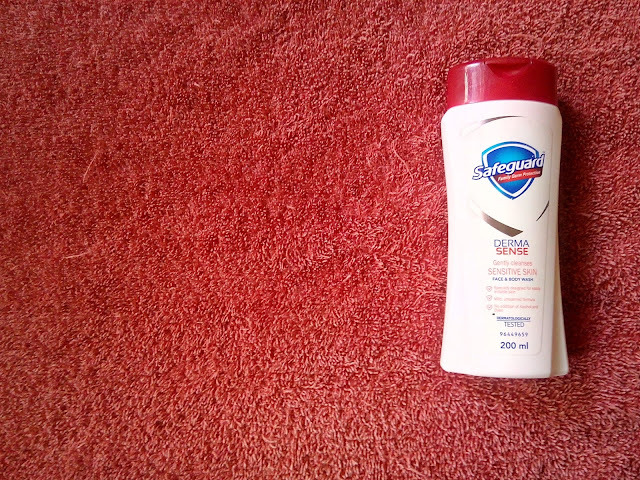 For example, if I buy those Jergen's Body Lotion in a store, it will cost me 140 pesos for 2 bottles. But by getting it from Sampleroom, you're just getting in for only 100 pesos so you'll get 40-peso savings. The first sample that I got from them. 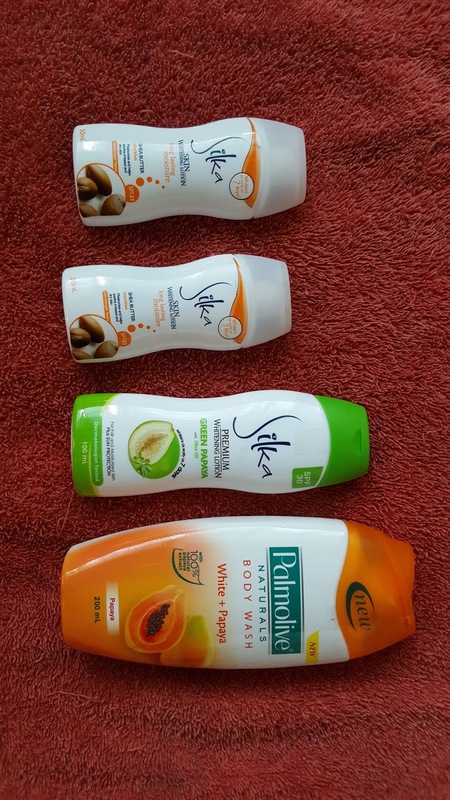 Most of the product that they have are in full-size and there are some that really comes in a small size that is really designed for sample use only. In order for us to decide if we're going to buy the full-size or if its worth it to repurchase it, the member should try the product for at least 3 to 5 days. Once they tried it, they just have to put their honest but constructive feedback about it. Yes, Sampleroom will allow you to post your review even if its not a good experience for as long as you adhere to their guidelines. What's more exciting about using their service is for every review, you will earn 1 point. Once they approve your review, you will not just earn additional 1 point, you will also get back the points that you used for the samples. You'll also earn points by referring a friend who might be interested on trying out some samples. Just put their email address to sampleroom's website then once your friend received the invitation and registered, you'll automatically get 1 point. 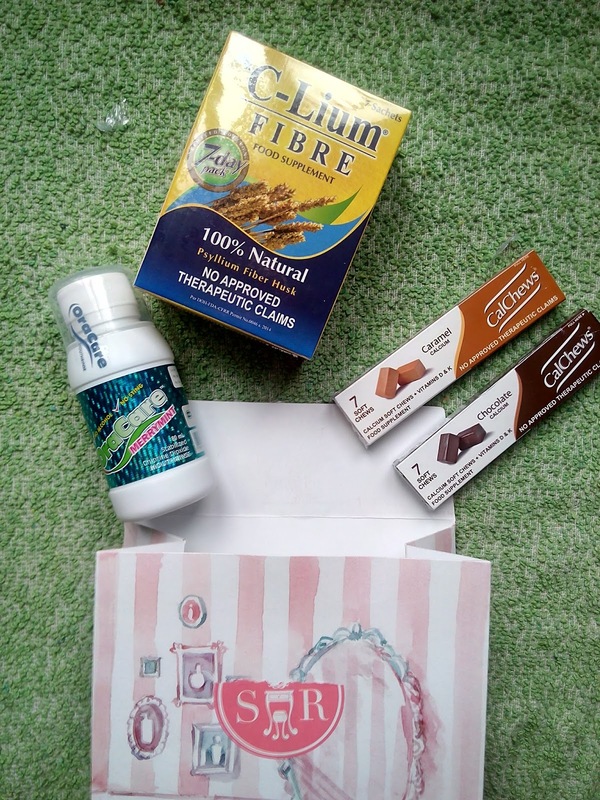 As of the moment, I've been getting stuffs from them for more than a year and I'm satisfied that is why I share to my friends those samples by posting it in my social media accounts like Facebook and Instagram.